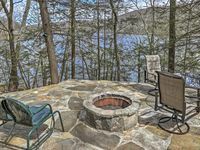 Lakefront New Preston Cottage w/Dock & Fire Pit! Property 9: Lakefront New Preston Cottage w/Dock & Fire Pit! Property 21: Adorable 2 Bedroom Lake Cottage- Very Quiet and Private! This charming house provided for a perfect, quiet getaway. 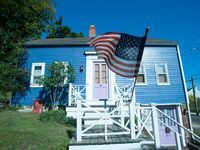 We loved learning about the oystering history of Fair Haven, while being close to the culture and food in New Haven. The kitchen was well appointed and everything was clean. The host was extremely welcoming and we would absolutely go back again. Thank you! Cozy and warm. Very Clean, I have severe allergy and asthma and I didn't feel anything. Beautiful view! Only problem I had was parking but person came quick and helped me park my car.